We proudly provide high quality service to musicians of all abilities. 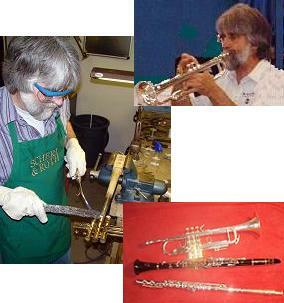 We handle repairs of wind and brass instruments as well as other instruments. We can meet your supplies and accessory needs and have instruments available for rental. Every instrument that comes into our repair shop, whether it's for cleaning or a major overhaul, is given the same gentle care. And when you need supplies or accessories, we'll always give you our best price. Our goal is to fill the needs of musicians in northeast Vermont and northern New Hampshire. And if we don't have what you need, we'll help you find it.